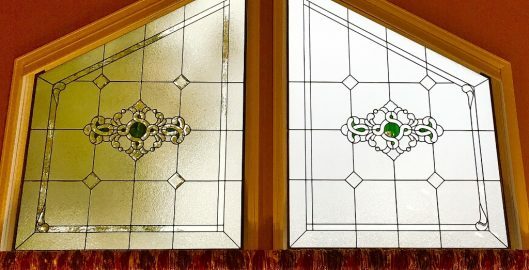 Can I Clean My Houston Home’s Stained Glass Myself? Privacy An Issue In Your Houston Home? Stained Glass Is The Solution! Winter weather is long gone, Houston! And the presence of a warmer time of year offers a great opportunity to get started on all those home improvement projects you’ve been dreaming about. 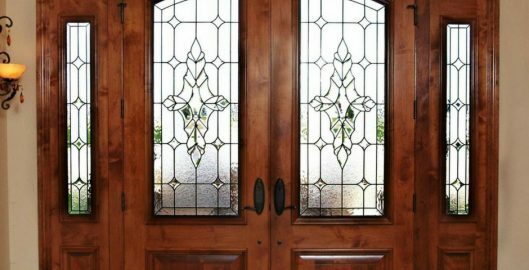 And what better way than to give your architecture a boost in its appearance and value than with a stained glass entryway door for your Houston home?! Oh the beloved boudoir, a place of solitude and relaxation–it is truly one of the most underrated rooms in your house when in all reality, the bathroom is a room that can add monetary and aesthetic value to your Houston home. There are many ways to spruce up your bathroom and make it a more beautiful place for you and your family to enjoy: a jacuzzi tub, new towels a fresh coat of paint. 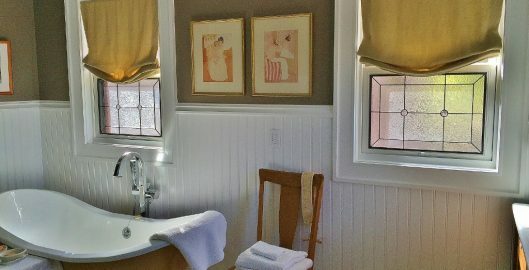 But the best way to add class, style, and value to your bathroom is by having custom stained glass windows from Custom Stained Glass Houston installed in your bathroom. 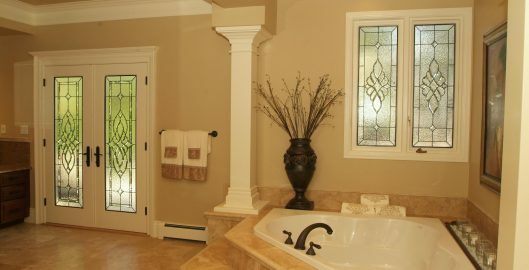 This is because stained glass has an intrinsic elegance to it, that turns any ordinary bathroom into something extraordinary, While almost any stained glass we make for you will be beautiful, there are certain elements that can really class up your bathroom and add to the resale value of your home. Beveled Stained Glass: Bevels on stained glass catch the light in an artistic and send beautiful prisms cascading down your bathroom walls. At Custom Stained Glass Houston we carry a number of delightful beveled pieces in stock and can also have intricate, one of a kind, beveled pieces made for you as well. 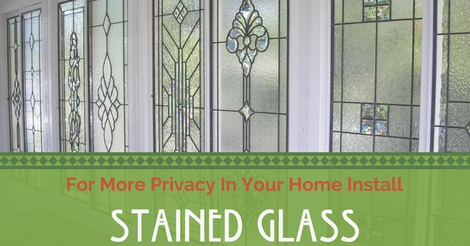 Frosted Stained Glass: Frosted stained glass looks stylish and is great for letting in light, while at the same time, giving you 100% privacy coverage. Textured Stained Glass: Stained glass can be made with a variety of applied textures from moderately visible to very obvious. Some of our clients have requested numerous textures in place of colors to keep their bathroom windows private and looking stylish and classy. The styles and elements listed above are just a few ways to use stained glass in a unique and modern way to help add to the beauty and comfort of your bathroom. At Custom Stained Glass Houston we have in-house designers who can help you pick from a wide array of styles and colors to find out what will go best with your current bathroom decor and elevate it into something the whole family will love. Contact us today for a free, in-home estimate and get going on the bathroom of your dream! Give The Unique Gift Of Stained Glass This Wedding Season! You can just feel the love in the air, can’t you? The warm weather, birds chirping and flowers blooming all mean one thing to Texas families and their soon to be brides and grooms–it’s wedding season! That’s right, the season of love, is upon us here in Houston and if you are anything like us, you likely have more than a few save the dates hanging on your refrigerator and also a bunch of summer weekends x’d off to attend the wedding of someone you love. 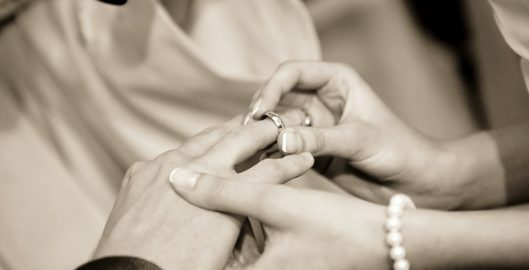 Finding the right gift for that very special someone when they are getting married is difficult. Yes, there are registries, which certainly make it easier, but those gifts tend to be predictable and sometimes even cliche. This where we, here at Houston glass, come in. May we present to you, an option to you that will have the newlywed couple smiling and probably in tears when they open it–custom stained glass. Buying a custom stained glass panel or window made especially for a young couple is the perfect gift to mark the beginning of their lives together and give them a gift of heirloom quality as well. It will certainly be something they will cherish and something utterly unique as there are endless possibilities with custom stained glass. Date: There is no better way to memorialize a wedding than to have the date included on a beautiful stained glass window or panel. No matter what stained glass design you choose to mark that special day, the bride and groom will appreciate the momentous thought that went into their gift. This is why a stained glass panel is a perfect wedding gift. If you don’t know exactly what size, color or style–that’s ok! A simple solution is to buy them a gift certificate for the stained glass This makes it so they can pick out exactly what they want to have made to remember their big day. We know price can sometimes be an issue with a full stained glass window, which is considerably more expensive than a panel. However, this allows you to go in with others who love them as a great way to do a meaningful group gift! If you live in the Houston area and are looking for a unique, wedding gift to mark the wedding of someone you love, contact Custom Stained Glass Houston today to discuss a custom stained glass design today! It is natural for people to think about churches when they hear the word stained glass. They make that association because stained glass is practically ubiquitous to cathedrals, churches, synagogues and even mosques. The next most common association is likely the victorian or craftsman eras of design. Likewise, anyone who owns a home built in either of those time periods probably has antique stained glass on one if not a few windows in their house already. The reason for this is because, during the mid to early 20th century, now famous designers like Frank Lloyd Wright and Macintosh inspired a connection in the minds of Americans between home decor and stained glass. 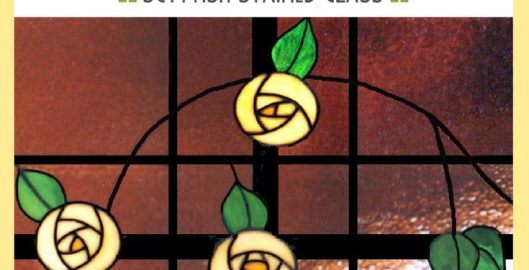 This started a fortuitous “new” era of modern home stained glass that continues today. 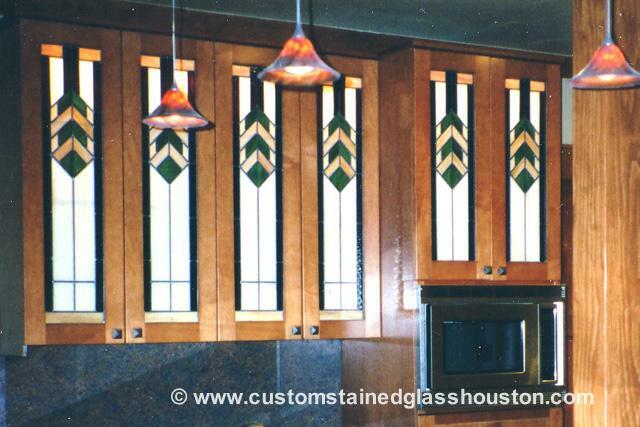 At Custom Stained Glass Houston we are proud to continue the work of design prodigies such as Frank Lloyd Wright and others who had such incredible impact on the evolution of stained glass into what we see today. 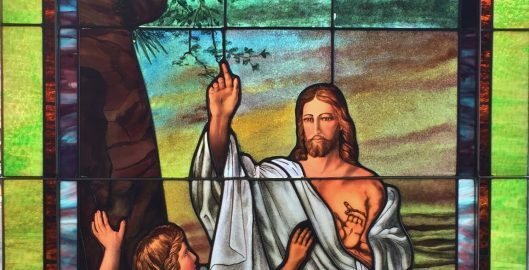 The artistic value of stained glass is undeniable. However, did you know it is actually called a “practical art”? The reason is pretty clear to us–it is an extremely versatile medium which can be tailored to suit nearly any design style or taste. Especially in this day and age, stained glass can be used in nearly any room in the in a house (bathroom, kitchen, living room, entryway) and used functionally as a fireplace screen or a stylish room divider. It really is amazing how stained glass works well as both art forms and as a practical solution for privacy issues. 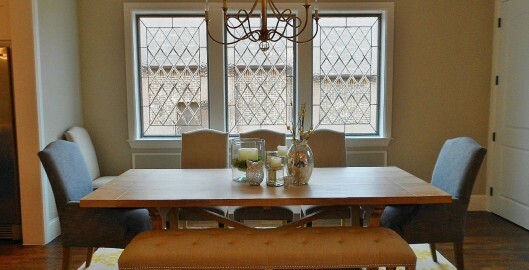 In truth, it doesn’t matter where you put stained glass because it always works well and takes center stage! Likewise, you will enjoy the beauty it brings to your home daily. In fact, like most of our customers, you will probably find reasons to fall in love with it all over again day in and day out! If you live in Houston or the surrounding area and are considering a stained glass window to brighten your decor, contact Custom Stained Glass Houston today and let’s get going an heirloom quality piece of glass for you and your family to enjoy for generations to come! One of the most remarkable things about stained glass is its durability. But even the most expertly designed and crafted windows still require proper care or cleaning to retain their brilliant appearance. One way to restore the color and shine of stained glass is with remodeling and renovation. At Custom Stained Glass Houston, we are experts at remodeling and renovating antique, damaged, or outdated stained glass. By using the right tools and techniques, we can restore the color and shine of your window or panel and preserve your art so that it lasts for several generations in your family. When it comes to interior design and decor, many homeowners find that the room in their home that they have the hardest time with is their bathroom. That’s because dealing with bathroom windows can be tricky. Luckily we’ve got an easy solution. 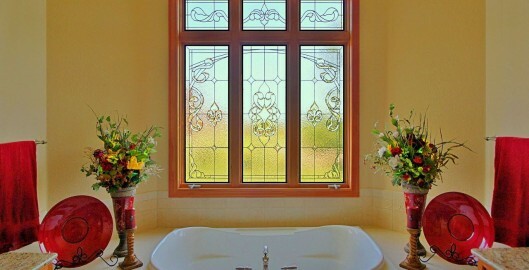 Stained glass can give the bathroom of your Houston home the special look and privacy it needs. For many people, the start of 2017 brings welcomed change. The new year seems to be filled with the air of promise and the chance to fulfill long-sought dreams. This year, why not give yourself and your family the home you’ve always dreamed of having? Stained glass can make your Houston home shine with beauty and radiance.